I'm not angry anymore. Comfortably numb. Lots of you were angrier at Phil, Vlad, Scandy etc. than I was. What I'm asking for is too much to ask? Is it greedy? Just be smart. Get out of the way. You coached kids in Olean. Wonderful. You don't know the game. Act like the fan you claimed to be and make winning, not your ego, priority one. None of us would own this team the way he has, and Terry's just a poster here. One whose posts would get endless eye rolls. Fair question. I haven't created or kept a note in my phone over time. Maybe I should have. It's an impression that's slowly settled in with me. It's been based on a lot of anecdotal things, here and there. The big one, for sure, is how he talked about McDermott as a faith-based person when explaining why he thinks he'll be a good coach. But there've been many others. He liked Gaustad in 2011. Why? It was the hand shake and direct look in the eyes. Which, fine. Gaustad was a useful NHL player. Years later, Terry was intimately involved in targeting Josh Allen. He really, really likes the kid. Why? That's less clear. But I think of the Gaustad approval in that regard. Housley as a coach was hailed as a HOF player. Wut? Add in those comments he reportedly made at the NFL owners' meeting about the Kaepernick (sp?) stuff. This goes to the business side as well. Kim's brother has a key role in the creative works of PSE. I could create a larger inventory, I'm sure; I just lack the time to do so. And not for nothing, in just listening to him speak ... I get the clear sense that he's no sharp tack. 8 years seems like a fair sample size. And I won't litigate the tank here. I've never had any interest in doing so. Botterill, the one hire he made it clear he was owning after saying he didn't have much to do with hiring Murray, is already halfway out the door because of a bad coaching hire and poor roster construction. I still appreciate that JBOT is more of an asset-manager than a hard-boiled scout. I think that's forward thinking on the Pegulas' part. Smell, you forgot that Terry thinks one of the biggest things Botterill has going for him is that he's the only three-time World Junior gold medal winner alive on the face of the earth. I don't believe this is true. From what i recall, he purchased the team to get them out of limbo and make certain they stayed in Buffalo. He was interested in winning, but was also very concerned with the bottom line and those 2 thoughts often conflict. It was a good thing that he purchased the team and they had great success under him, it's probably also a good thing that he sold the team, because I don't feel he was the type of owner a sports franchise needs for long term success. I voted "No" only because of Pegula's contributions to the city and his commitment to Buffalo. I value that more than anything else. Otherwise, he is massive failure as a Hockey Owner in every other category that I can think off. I hope he gets it right soon. Quality of Ownership? I have a hard time giving Pegula any props for Quality of the product. The losing, the firings and dysfunction in the executive ranks, the revolving door of coaches. Rigas and Golisano both ran things better. Success on the ice counts for something. Rigas tried. He had other issues, especially with his kids. Rigas's team actually made it to a Cup final (no goal). 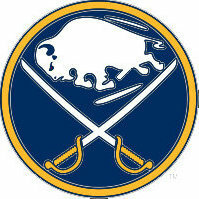 If Golisano actually liked hockey and was not so cheap regarding the team he might have won a Cup. Golisano bought the team just to help keep them in buffalo and make a buck, which he did. the Knox's were outstanding and classy all the way. Almost every complaint you would probably have with the vast majority of owners. I'd not heard that one. Like I said: I think that both his criteria and instincts for decision making are below average. I do believe he operates in good faith, though. So there's that. I feel like maybe we've kicked around the idea that, maybe, just maybe, under certain circumstances, it's actually beneficial to have an owner who keeps a close eye on the bottom line, and demands that the team be operated in a sustainable and profitable manner. The idea being: Having a boss/owner with clearly defined fiscal limits can make the decision makers more efficient, more prudent -- smarter. The related idea being: Having a boss/owner who will throw money at any problem may lead to less robust analyses by the people doing the work. Of course, Black Sunday was what it was. He's the least informed/nuanced sports fan you will ever know. I genuinely believe his recent comments on Phil Housley at the NFL meetings in Arizona were honest observations from the heart. He was asked about Phil and a coaching change, and he said he thinks he's capable of becoming a great coach, and he references the fact that he was a great player (meaningless!). Then we hear from Botterill saying the decision was his alone, no input from Terry, and Botterill phoned Pegula Sunday morning to tell him (and to get his blessing on) firing the HC later that same day. From the evidence at hand, Pegula did not realize he had a coaching problem, nor would he, as he doesn't know jack about hockey. When a professional sports franchise is consistently bad for long periods of time, there is only one place to look: ownership. We should all be familiar with this as we lived through it with Wilson and the Bills for decades. Ultimately, the Pegula debate comes down to how you inherently feel about having a team in Buffalo. Either you are just happy to have one and will bend over backwards to retain one, or you aren't that way at all. I'm in the latter category. Buffalo, NY has ZERO business having pro sports teams in the 21st century. It's a quirk of fate and history that we do. If the forces of the universe have decided Buffalo really can't field competent major league sports programs, then let them go. I'll move on. Simply saying "Thank God we have a team" or "Thank God our owner isn't a horrific cheap skate" is nowhere close to good enough. We have no idea whether or not TP can move the team. None of us has ever seen the contract. We also have no idea whether TG "insisted" on a no-movement clause (assuming it exists, and doesn't expire or have other loopholes) or whether TP agreed to it when it was brought up because he wants to keep the team there anyway. Regarding the tank -- do you think it was TP's idea, or was he following his GM's recommendation? I suspect it's the latter, which, if correct, would argue against the "meddling" theory. Of course he was happy they scored. It was a thrilling moment. He'd have had to have been dead not to react. That doesn't mean he didn't care much more about the Benjamins than about the wins. Every single action he took as owner was consistent with his public statements that it was critical that the team not lose money on a current basis -- i.e. he was openly, and repeatedly, not interested in funding operating losses. So your willingness to fire him isn't based on results? It's based on your perceptions of "meddling" -- including the unforgivable sin of speaking regularly with his GM (like at least 90% of other NHL owners)? Do you not believe that hiring Howie and firing Howie were JB's decisions? Well, we don't know what was in his heart, but we do know that he didn't step in and buy the team until the price dropped to a ridiculously low number, which included the city forgiving something like $25MM in loans. We also know that he sold the team a few years later for 3x what he paid for it. I believe this was from the spoken word, not from his heart. But a long time ago. Yes he got a sweetheart deal from the league, the NHL didn't not want to run the team anymore. He wansn't trying to sell the team, but was made an offer he couldn't turn down. 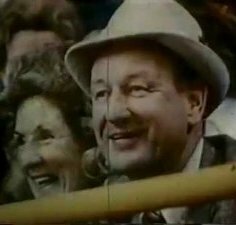 I think TG goes down as a pretty respectable owner that helped stabilize the franchise and had some exciting moments on the ice. Sorry, forgot to turn on the irony font. Everything looks like it's moving in the right direction, until they actually play the games. The Pegulas seem to be doing a great job with the Bills, so I believe they can do it. I don't really think the Sabres woes are are their fault. Anyway, what other choice do we have? Trump? The Bills are showing signs of stability, a foundation for a solid team and sound football management. I wouldn't say the Pegula's are doing a great job, but they appear headed in the right direction. This season is important, the team needs to challenge for a playoff spot. This is the beginning and end of this trash thread. 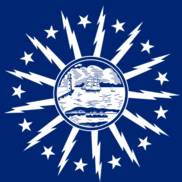 According to the Census, the Buffalo-Cheektowaga Metropolitan Statistical Area is 50th in population, right behind economic powerhouse Birmingham-Hoover, AL. There is no Earthly reason why two out of the Big Four leagues still have teams here. There's no big corporate money. There's no giant TV deals. There's no economic incentive. Partnerships with Yancey's Fancy and TV ads for veinsveinsveins.com don't support a team. There are many, many larger markets with would-be owners that would pay for these teams, and in several instances, they almost have. There's only two reasons that these teams are still in Buffalo: 1) revenue sharing; 2) we have ownership that wants them here. So do all the mental gymnastics you want, add all the qualifying language to your arguments, and dream up some imaginary ownership group that keeps the teams in town, wants to win, spends, and hires the GMs you thought you wanted. The reason you're not reduced to watching the national broadcasts of the Los Angeles Bills and the Seattle Sabres is the actual, real-life owners. Should the current ownership continue to strive to produce a championship team in each league? Yes. Should the current ownership be subjected to reasonable scrutiny? Yes. Should the current ownership be "fired," likely resulting in the relocation of both franchises? Don't waste my ***** time. Nice try, but some of these people don't care about news reports from credible sources. It's 2019 and we're entitled to our own facts. Besides, we can't ever really know anything, can we? Show me the contract! PDF file will do. But is it real? Darcy said on WGR in the spring of 2013 that the owner would decide the extent of the rebuild. At the same time cited Minnesota as a team that rebuilt the right way, and it wasn't by tanking. No way Darcy cooked up that plan. And that's why he was gone in the fall. I assume you have the phone logs? I'm only slightly surprised the margin is that high. I'm a little encouraged that slightly over 20% would pull the trigger. Maybe the butterfly effect can kick in and start the process of getting rid of these people (they can stay in OP). The support is really all about this idea he's keeping the team here, and he's spent a lot of money, and he cares about winning. And he built a donut shop under a practice rink (thanks, taxpayers). There are 32 NHL franchises. There's not another wealthy dude who would buy the team, keep it here, spend money and try to win. And be better than Terry at it. Gotcha. So you think TP forced the tank on DR? And this is because he said the owner gets to decide the scope of the rebuild? Doesn't the owner get to decide everything, by either approving it or declining approval? And don't all major decisions generally get run by the owner? Did TP force the tank on TM also? Do you not think most owners speak with their GMs regularly? So someone who owns something worth, say, $200MM to $500MM doesn't speak regularly with the guy who runs it for him? A "donut shop under a practice rink?" Do you not think TP has invested substantial amounts into downtown Buffalo? News Bulletin!!!!!!!!!! PA has gone off the rails. Continuing coverage on SabreSpace.